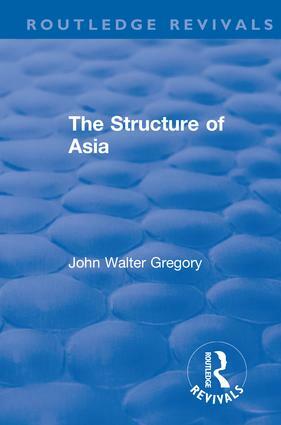 At this time of narrow specialization in science, it seems almost impossible to fully grasp the personality of John Walter Gregory and his impact on the evolution of geological concepts. He belonged to the generation of unusual men who by their endeavors in different technical fields made the British Emprire into a domain where the sun never set. Gregory was a brilliant thinker endowed with the rare combination of an incredible memory for facts and a capacity for synthesis, and, as his explorations extended across all continents, he thus became an authority on the world as a whole. Nonetheless, he remained modest, sincere, and simple and always friendly toward his peers and his students. There are few scientific fields to which he did not contribute. In our present world of computer language he would be characterized by the key-words of geology, georgraphy, engineering, and sociology, a combination of disciplines which today appear unthinkable. In his time he was a scholar, a teacher, an adventurer, and a man of letters as well.